How do you connect with your body and inner knowing on a daily basis? Are you listening to your body’s signals or have you somehow turned into an adult who knows how to walk, but have forgotten you have a body? The symptoms of disconnection with our bodes manifest in many ways and can compromise our health. The good thing though, is that it’s never too late to change! I used to think I didn’t have the time to listen to my body and that it would slow me down. Today, I know that when I I become mindful and listen to my body, it actually makes me more productive and therefore saves me time and energy. One of my favorite ways to connect is through Kris Carr’s mediation for busy people. It’s amazing how my body and brain feel so renewed and refreshed after just 10-15 minutes of deeper breathing and meditation! I equally love my yoga practice – it’s like a journey to self; of self, through self and to self – as well as connecting with my body and mind through movement. I always come up with new ideas and solutions when I am out running in nature. Of course, there is no ‘one way fits all’. You need to find a way that works for you and also, to be compassionate with yourself on your journey. As coaches and other helping professionals, we know how important it’s to walk our talk. By connecting with yourself as a whole being of body, mind and spirit, you can assist your clients to do the same. It will help your clients to slow down, connect with their inner knowing and get to the heart of what really matters to them. Here is my story on how I got into Body-Centered Coaching. Now it’s your turn! Learn nine somatic keys to assist your clients to move beyond non-resourceful thinking! The Spring Body-Centered Coaching Online Trainings, 12.75 CCEUs, starts April 2, 2019. Register for one module (3 keys) at the time or complete all three; Beyond Limits, Decision Making and Embodied Resources. Early bird pricing ends March 12, 2019. 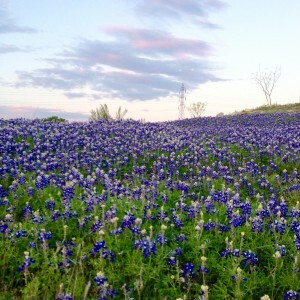 Presentation; “Moving Beyond Limiting Associations with Body- Centered Coaching Method” at the ICF All Texas Conference & Retreat, Burnet TX, 28-31 March, 2019. It’s not too late to register! Join us and connect with yourself, colleagues, ICF accredited learning and nature! Visit our event Facebook page for more details. Not part of the Body-Centered Coaching Community yet? Stay connected and sign up for the newsletter “Coaching, Mindfulness and Body Wisdom” and receive 10 easy, yet powerful ways to practice mindfulness in your daily life. Happy Fall! I love the colors in the Fall but a downside this time of the year, is that many people tend to get sick. I learnt from the Swedish Mindfulness Center that doing at least 20 minutes of daily meditation, is being as effective against the flu or a cold as physical activity. Not only do you strengthen your immunsystem by daily mediation and mindfulness, you also sleep better, feel less stressed and have fewer depression liked symptoms. Also, if you can add physical activity into your daily routine, you are increasing these benefits even further. If we all know the amazing benefits of mindfulness – why don’t we practice it on a regular basis? Maybe because we think it’s complicated and time consuming? Well, I don’t think it has to be! As a reader of my newsletter, you should have received my list of 10 easy ways of practicing mindfulness on a daily basis. In case you have forgotten or need a reminder, here is the latest version. An additional way to deepen your experience of mindfulness and learn it for yourself as a coach, is to take part in any of the upcoming Body-Centered Coaching trainings, based on a method founded by Marlena Field. This method combines mindfulness with the body’s own wisdom for deeper and more effective coaching conversations. In the training you will practice mindfulness and learn by your own experience how to trust your own body and intuition as a resource in the coaching conversation. By learning the nine processes in the method, you will be able to assist your clients to move beyond limits, make solid decisions and trust their inner resources for sustainable change. Heads up to my Swedish readers – the early bird pricing for the training in Swedish ends in a week on October 24, 2018! Talking about Sweden, I want to give a big shout out to ICF Stockholm for the warm welcoming when I presented there in the end of the summer. The room was filled with amazing coaches who were eager to learn about the Body-Centered Coaching method for 2,5 h. I am so grateful for these opportunities to share and bring the Body-Centered Coaching method further out in the world! If you would like to see and hear me presenting at your ICF Chapter (or somewhere else) please let me know! Tack alla svenska ICF coacher och glöm inte er upp till 1000 SEK rabatt till min kommande BCC utbildning med start i november 2018! 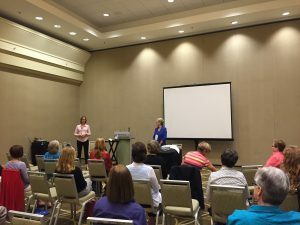 And if you are interested in becoming a coach, or already are a coach here in Texas, you have the possibility to experience my Body-Centered Coaching presentation at the All ICF Texas Conference&Retreat, March 28 – 31, 2019. 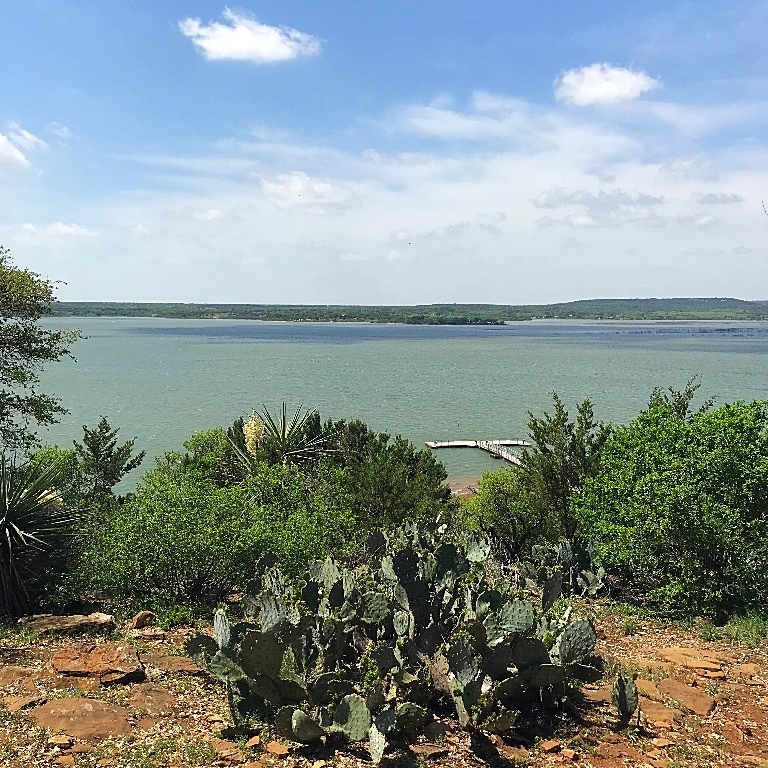 As part of the planning team, I can promise you great conversations, ICF accredited learning, and time in nature around the beautiful Lake Buchanan – all in a great combination. Registration is open and the early bird pricing ends October 31, 2018. Webbaserad e-kurser via Zoom (telekonferens) 2018/19 på svenska, ackrediterad av ICF med 12,75 CCE poäng. Anmäl dig till alla tre delkurser eller ta en i taget. Tidig anmälan före 25 okt ger lägre pris. Webinar Trainings Spring 2019, in English, ICF accredited for 12.75 CCEUs; Starts on April 2 – weekly until May 28, 2019. Register for one module at the time, or complete all 3 – Beyond Limits, Decision Making and Embodied Resources. Body-Centered Coaching Presentation at All ICF Texas Conference & Retreat, Burnet, Texas, 28-31 March 2019. For more information and early bird registration, please become a member of our event Facebook group. Speed coaching” at the Coaches corner at Texas Conference for Women in Austin, Nov 8, 2018. Designed to give attendees an opportunity for one-on-one sessions with a coach from ICF to take what they learned at the Conference and turn it into action! I will be there with some fellow coaches from ICF Houston – come for a session if you are attending the Conference! Please feel free to share this newsletter if you like what you are reading, thanks! I am excited to share that I am going to Stockholm in the end of August to present my body-centered coaching work in Swedish! My presentation at the ICF Stockholm on September 4, 2018, is called ‘Nå förbi begränsande tankemönster/Moving beyond limiting associations’ and is based on Marlena Field’s Body-Centered Coaching Method. I am looking forward to my presentation and to meeting some of you in my Swedish community while there! 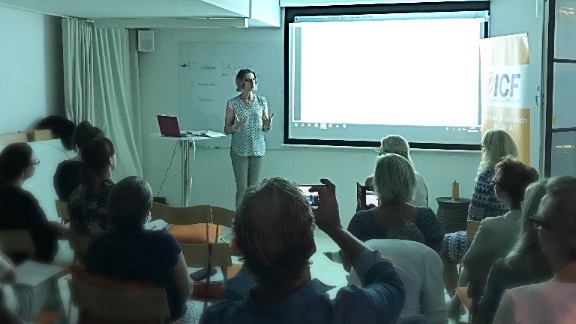 Another way of ‘meeting’ with my Swedish community will be through my teaching of Marlena Fields brilliant Body-Centered Coaching Method in Swedish, not just in English. I am in the translation process right now and at times it’s challenging to find the right Swedish words. In a way, my first coaching language is English as I have done all of my coach training in English, but my mother tongue is Swedish – my language of expressing feelings and emotions. Anyhow, I welcome the challenge and find the translation into my ’emotional language’ very rewarding. Also, I love how it will enable me to share the Body-Centered Coaching Method even further with the world! Save the date; March 28 – 31, 2019! If you are an ICF Coach as I am, and a member of an ICF Texas Chapter, you dont want to miss next years All Texas ICF Conference&Retreat. Taking part in the retreat is a great way to dive deep, connect and learn from other coaches. Great conversations, ICF accredited learning, and time in nature around the beautiful Lake Buchanan – all in a great combination. I enjoyed this years event so much that I am part of next years planning committee. I hope to see some of you at the conference/retreat in 2019! Further, I enjoyed The Buchanan Lake area so much that I am taking my family there hiking next week – as much as the hot Texas weather permits! I am looking forward to stepping away from my regular routine and to allow time for just being. Also, to spend time in nature, which is my favorite way to reconnect with myself as a whole being of body, mind and spirit. Giving my brain a break with time away from work, will leave it more motivated and productive upon returning to my office. Tele-webinar Trainings Fall 2018, in English, ICF accredited for 12.75 CCEUs; Starts on September 18 – weekly until November 13, 2018. Register for one module at the time, or complete all 3 – Beyond Limits, Decision Making and Embodied Resources. Anmäl dig till alla tre enheterna eller ta en i taget. Tidig anmälan ger lägre pris. Body-Centered Coaching Presentation at ICF Stockholm, Sweden, September 4, 2018; Nå förbi begränsande tankemönster/Moving Beyond Limiting Associations (in Swedish). Contact me for more information. Where I come from in Sweden, summers are usually short and not always sunny, and whenever the sun is shining you have to be outside. Here in Texas its the complete opposite! Also, with degrees around 100F, it’s a challenge with outdoor activities. Well, its all good and I am adjusting to my new lifestyle. Also, I am fortunate enough to go to Sweden for a couple of weeks in the end of August. Another trip I recently did, was to the ICF Midwest Regional Conference in Indianapolis. Together with my colleague Helene Morais, we presented an interactive body-centered coaching session “Adding a body-centered tool to your practice; Moving beyond limiting associations“. It was very rewarding and fun to be able to share one of Marlena Field’s (founder of the BCC method) body-centered coaching processes in person. It’s always nourishing and energizing to spend time with the coaching community. Marshall Goldsmith, the Keynote speaker, brought some great energy as well as many other excellent presenters. At Ann Betz and Ursula Pottinga’s session we learnt how neuroscience can help expand our effectiveness as coaches. 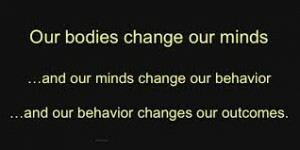 I love how their research shows what we already know in body-centered coaching; that our brain is not just in our head! Their work show that we have neurons in our heart and gut, and that every part of our nervous system actually participates in processing information. Therefore it’s so important to include the body-centered perspective in our coaching, because when we only deal with “head” stuff we miss major aspects of our actual intelligence and insight. Let’s finish with some words from Marshall Goldsmith; “Life is short, follow your dreams and have fun NOW – we can’t change the play of hands but we have a choice how we play it”. Happy playful, relaxing and mindful summer! Free 30 minute Introductory Calls on my Body-Centered Coaching Tele-trainings, one for each module. This is a great opportunity to get your own experience and taste of whats covered in each module, how it can help you and your clients and meet me as the teacher. The first call on Moving beyond limits will be on Tuesday August 23, at 1-1:30pm CST, register to one or more calls here. Tuesdays at 12-1:25pm CST; First module on Beyond Limits, starts September 20, 2016 – early bird pricing through August 30, 2016. A fun and light living is certainly on my personal resolution list! Additionally, I have mediation and mindfulness, as something I want to see more of in 2016. And isn’t it great how Law of Attraction works? Universe heard my message and the other day I received an invitation in my inbox to a free guided Mindful Meditation; Self-care for busy people by Kris Karr. I encourage you to check it out here, as well as other healthy lifestyle tips from Kris Karr – “The queen of Kale”. I have ordered the Mediation Album and now I am waiting eagerly to include it in my meditation practice! So whats new in 2016 in my coaching business? Free 30 minute Introductory Calls on my Body-Centered Coaching Tele-trainings, one for each module. This is a great opportunity to get your own experience and taste of whats covered in each module, how it can help you and your clients and meet me as the teacher. You can register to one or more calls here. Tuesdays at 12-1:25pm CST, starts April 5, 2016 – early bird pricing through March 15, 2016. Wednesdays at 5-6:25pm CST, starts April 6, 2016 – early bird pricing through March 16, 2016. 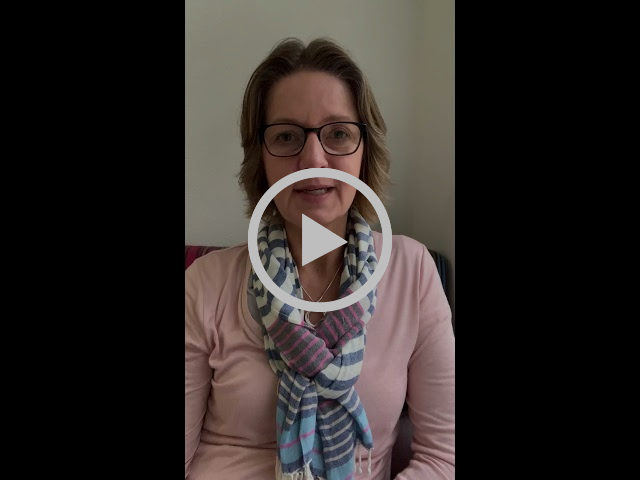 In person BCC presentation – together with my colleague Helene Morais, we are chosen with our presentation “Adding a body-centered tool to your practice; Moving beyond limiting associations” as breakout speakers at the 5th Annual ICF Regional Conference. I hope you are making plans to join me in Indianapolis June 23-25, 2016 for the largest gathering of coaches in North America this year! The early bird registration opens February 1st, more information here. Fall is here! Even if you can’t tell by the warm weather here in Texas… the Fall semester has started and it’s well on its way. The school summer break is over and everybody is back into the routine again. And it’s necessarily not a bad thing! I have been blessed with a great, fun and relaxing summer, and now I feel ready for some new work challenges! My Body-Centered Coaching Fall Tele Training Series (12 CCUEs) starts on September 22 – weekly until November 17, 2015, with Moving Beyond Limits. Learn proven somatic, body-centered techniques founded by Marlena Field, to encourage yourself and/or your clients to move from head to heart. Join me for this highly interactive and practical tele-trainings module and you will discover what’s possible for you and your clients when we can move beyond our limiting beliefs. You can get more information about the Series three modules, and how to register here. On October 15, 2015, I will attend the 16th annual Texas Conference for Women, in Austin, TX. The conference offers… “the community and connection, the information and inspiration, the motivation and momentum to help you discover what you want—and go get it!” Its a very inspirational and life learning day that I can recommend any woman! And for the third time at the Conference, I will offer my coaching services in the Coaches Corner. Its designed to give Conference attendees an opportunity for one-on-one “speed coaching” sessions with an accredited coach from the Austin chapter of International Coach Federation (ICF). I would love for you to join me at the Conference, register here! ….problems get solved, opportunities are realized and potentials are reached“. Copyright © 2015 Nina Mioen International Life Coaching, All rights reserved. Have you ever found yourself unsure how you are going to handle a new or difficult situation? Let’s face it, we all have times when our confidence has gone temporarily missing and the thought of stepping into uncharted territory makes us wonder how we are going to pull it off. It could be performance anxiety anticipating stepping onto a bigger stage; or being put in charge of a high-stakes project; or needing to have a ‘difficult’ conversation with someone. As body-centered coaches, we particularly like working with our clients at times like this. Using a technique we call ‘remembering the resource’, we can guide our clients to remember a related previous accomplishment and by so doing they access their own internal resilience and strength. When they recognize this within themselves, body, mind and spirit are aligned, and they are ready to step out of uncertainty and forge ahead confidently. Really all we are doing is helping our clients tune into what they already know. And it’s lovely hearing how they then sailed through whatever the challenge was, calmly and successfully. I love the month of April! It is such a energizing and beautiful time when the light and the warmth come back. Especially in Sweden after the long and dark winter, but also here in Texas. 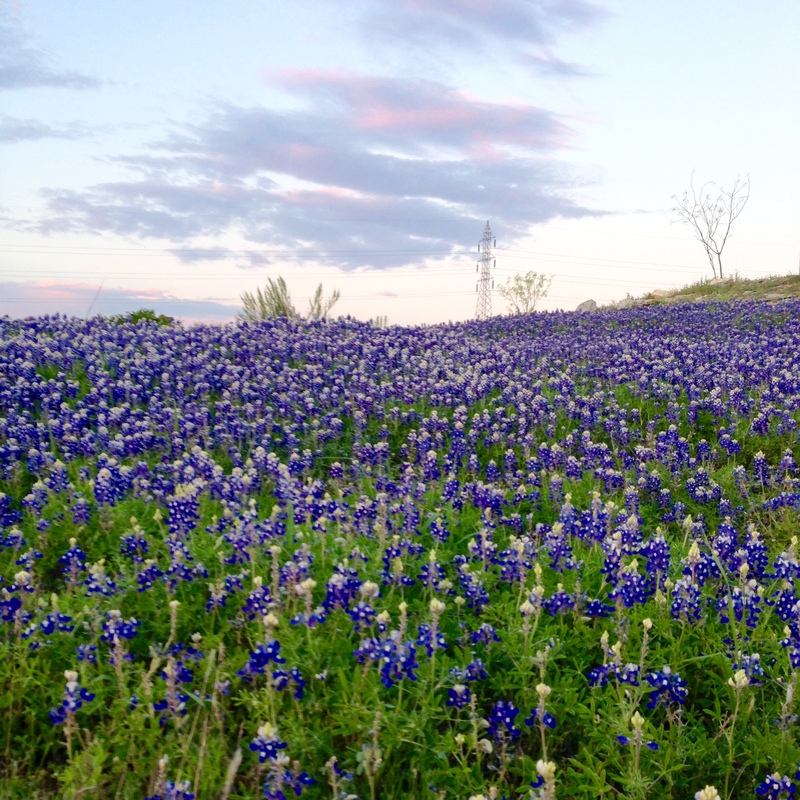 Here it is the time when the bluebonnets are blooming, like in this picture I took recently in Marble Falls. April is also the month when I started the first module, Beyond Limits, of my Body-Centered Coaching Tele-training. Until June 2015, I will teach Marlena Field’s (the founder of the Body-Centered Method) nine Body-Centered Coaching techniques to other coaches and helping professionals. I am passionate about these coaching techniques, and very excited that I get to share them with likeminded. I know from my own coaching how they lead to sustainable and deeper results for my clients. Including the body in the conversation is a powerful way to help our clients get to the heart of the matter with greater speed and clarity. On May 5, we will start the second module on Decision Making. If you would like to join us, there is still time to register. You can enroll in one module at the time or join us for the two remaining; Decision Making and Embodied Resources. You can read more about the modules and how to register here on my website. April is also the month when I had my first Mindful Morning. Together with my talented friend and yoga teacher Kari Kiholm Hennefer, we offered a combination of yoga and Body-Centered Coaching to a group of beautiful ladies. I got the idea to do this in one of Kari’s yoga classes. I could see how we share the same platform of mindfulness and the body’s natural wisdom. 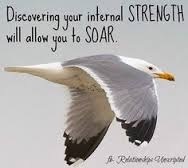 We also use the breath to tap into that inner strength and knowing we all have. 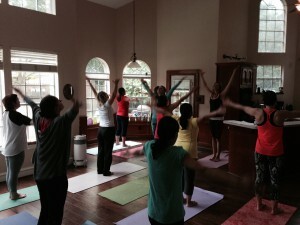 And the concept of yoga and Body-Centered Coaching together worked, the combination was great! Our Mindful Morning became a fun, inspiring and mindful event. I would love to offer another Mindful Morning with yoga and Body-Centered Coaching in the early fall of 2015. This time it would be more time for yoga and around something we all face daily – decision making. You would learn how to make sustainable and congruent decisions from a body-centered perspective. Stay tuned! April is also the month for fun and recreation. Soon I am leaving for a week in Sweden where I will visit with friends and family. Hopefully I will get some of that Swedish, beautiful Spring weather too! Who is Body-Centered Coaching for? Body-Centered Coaching is a wonderful body of work to support coaches, counselors, therapists, social workers, psychologists, mentors, healthcare professionals, and other wellness practitioners. It can be applied to one-on-one coaching or group coaching. It can easily be applied to any leadership model geared towards organizational or team development. It provides helping professionals with a powerful and refreshing approach to unlocking clients’ growth and creating meaningful and sustainable change. Professionals can add this skill to their range of techniques and tools to deepen the client experience. The practice of Body-Centered Coaching helps clients with decision making, accomplishing goals and moving beyond limiting beliefs for further insights, inner peace and well-being. Body-Centered Coaching is a one-on-one coaching experience for clients who want to learn to trust their inner knowing and make life choices based on a body, mind and spirit approach. The Body-Centered Coaching Method is a unique set of skill-enhancing coaching tools created from the integration of powerful schools of wisdom that access the body’s wisdom to create deeper, more powerful sustainable impact for coaches and their clients. It taps into the natural intelligence of the body and incorporates the body’s wisdom to assist clients to access body information that creates a greater depth of insight, self-awareness and self-acceptance. Clients are empowered when you, as their guide, help them to access the body’s insight. Clients will grow and achieve meaningful and sustainable change in the following areas: decision-making and setting goals, moving beyond limiting beliefs, fusions, fears & anxiety, embodying resources for greater insight and inner peace, and health and well-being. What does Body-Centered approach offer that is different from other somatic trainings? Body-Centered Coaching has a unique set of skills designed specifically for coaches, therapists and other helping professionals that incorporates multi-disciplinary approaches to deliver sustainable change. Its foundation is based on mindfulness, simply being, reflective presence, body wisdom and embodied wholeness. It is able to be taught and practiced in-person or over the phone with equal effectiveness. This is not a cookie-cutter approach, meaning the skills and techniques are flexible and versatile and the coach or helping professional can use them in their own style. It is a coaching model, which focuses on coaching issues such a limiting beliefs and decision making. It is not a therapy model. Body-Centered Coaching provides helping professionals with an additional and dynamic modality that can be applied to one-on-one coaching or group coaching. It can easily be applied to any leadership model geared towards organizational or team development. By Marlena Field, the founder of the Body-Centered Coaching Method. Our bodies can be powerful indicators of how we are feeling. We may notice thoughts that go with a particular way we sit or stand, or places in our body that hold a particular sensation when we have certain feelings (like a clenched belly when we are nervous or afraid). She looks like she’s having a great day. He looks like he’s depressed. Your body is a representation of your innermost mindset. In one way or another, your body expresses your thoughts, feelings and mood. If you catch yourself in a hunched position with your head hanging down, begin to notice your thoughts. What thoughts have created this body response? 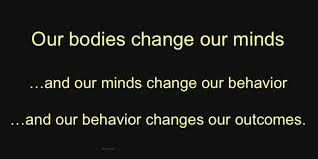 The good news is – you can change your posture and your external expression in the world by embodying new thoughts, and you can change your thoughts and how you are feeling by changing your body. Even though it may feel inauthentic at first, acting-as-if can actually change your bio-chemistry. It is more difficult to feel dispirited when your shoulders are back, your head is held high and you have a smile on your face. Charlie is standing with a slumped body posture and he says to Lucy, “This is my depressed stance. When you’re depressed, it makes a lot of difference how you stand. Harvard Professor, Amy Cuddy, has done extensive research on the links between how we hold our bodies and how we feel … and further how that impacts our presence and relationships with others. Her famous TED Talk on ‘Power Poses’ is compelling and informative. With Body-Centered Coaching, we work with our clients to support them in becoming more aware of their body, its messages, and how they can utilize the resources within it. We cannot change what we are unaware of, and for many of our clients, body-centered coaching opens up a whole new territory of awareness and possibility. 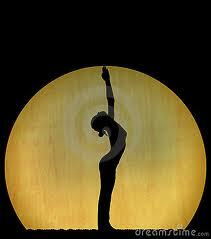 Pay attention today to how you hold your body when you are in different moods / states of mind … what do you notice? Try on a ‘power pose’ and hold it for two minutes …. Does it shift how you feel? Invite one of your clients this week to try on different poses … pay attention to what shifts in the coaching conversation. What do you notice?